A Japanese noodle enthusiast has tasted and reviewed more than 5000 types of #ramen, or soupy noodles popular in Japan, from more than 40 countries in his unending quest for the perfect one. Toshio Yamamoto, 55, runs i-ramen.net, a website offering detailed information on “ramen across the world since 1996”, Asahi newspaper reports. 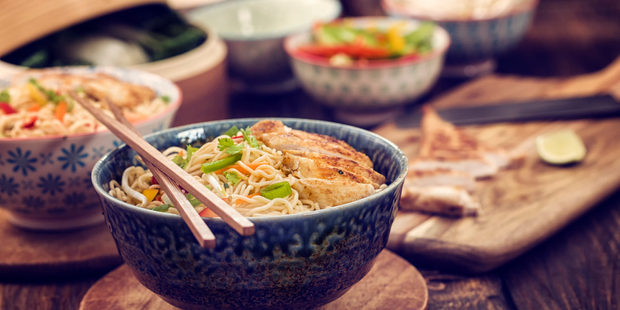 So far, Yamamoto has reviewed 5653 types of instant noodles through texts and videos offering details such as time needed to boil the noodles, calories, sodium content, characteristics and texture of the product as well as its taste. Of all the varieties of noodles he has sampled over nearly two decades, the best score he’s given until now (on a scale of 1 to 5) is a 4, and he intends to “keep eating noodles to look for the perfect one”, Yamamoto told Asahi. His fans across the world often send him packets of noodles to help in his search. His website has so far received more than 1.4 million hits and his videos have been viewed more than 22 million times on YouTube. According to Asahi, Yamamoto set up the website to “keep records of the content” of noodles because “when you finish eating the noodles, the content will be gone”. Yamamoto, a resident of Kamakura, near Tokyo, also published a book Sokuseki Mencyclopedia (encyclopedia of instant noodles), and is writing another book on the topic after taking an early retirement last year from his job as an engineer, designing electrical appliances. During his search, Yamamoto also realised the difference between noodles sold today, which “incorporate a change in people’s palates and culinary trends”, and those sold earlier when “the focus was on giving consumers practical benefits such as some nutritional value as well as saving time on cooking”. Though he has put a cap on his ramen consumption to not more than five times a week on health grounds, Yamamoto says he will not stop his search until he finds one worth awarding a 5.